Advances in computing, software, and user interfaces have combined to make the creative experience much closer to that of the real-world process. As a result, digital painting on an electronic canvas has been available to artists, sketchers, and doodlers for many years. The Wacom Bamboo Duo and Pocket styli both have a satin-textured metal body and well-balanced weighting, giving them a quality feel. Both offer a pen-like writing experience for tablets and mobile devices with a capacitive touch screen (ex: iPad, iPhone, Amazon Kindle Fire). The Duo has a traditional ink pen tip at one end and smooth rubber nib on the other, with a cap that may be placed over either tip. Both the Lunatik Chubby Stylus and the Touch Pen are easy to grip, has a great feel, and works really well with the iPad capacitive screen. Both have a soft rubber tip which will not scratch the glass. Like the Wacom Duo, the Lunatik Touch Pen can switch between real ink for writing on paper and digital pixels for sketching on the LCD screen. However, the Touch does it via a retractable tip accessible with just a click. Very clever. The one problem with “painting” on the iPad is that pressing harder does not make a bigger or darker mark. For digital artists who want that kind of tactile feedback, the only option is to use a pressure-sensitive tablet. The recognized leader in pressure-sensitive peripherals is Wacom. They have a variety of graphics tablets to fit any budget. 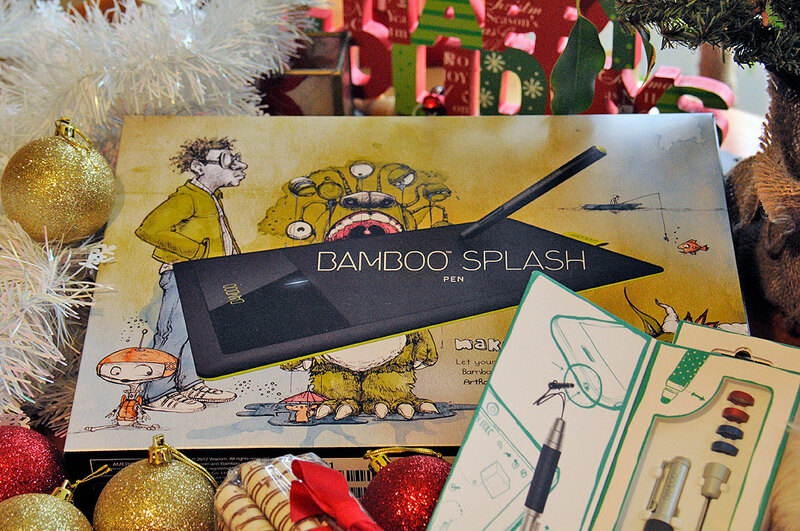 For the budding artist on your gift list, we would suggest the Bamboo Splash. It is one of Wacom’s newer offerings and everything needed to get started is in the box, including an exclusive suite of software from ArtRage and Autodesk. Painting a masterpiece is one thing, but sometimes a person just wants to make a few quick sketches, jot down a thought, or make a random doodle. For those situations, the perfect gadget is a Boogie Board. The way to think of a Boogie Board is that it is a notepad with an endless supply of paper. There is now a few versions of the Boogie Board (eWriter , RIP , JOT ) with different capabilities. 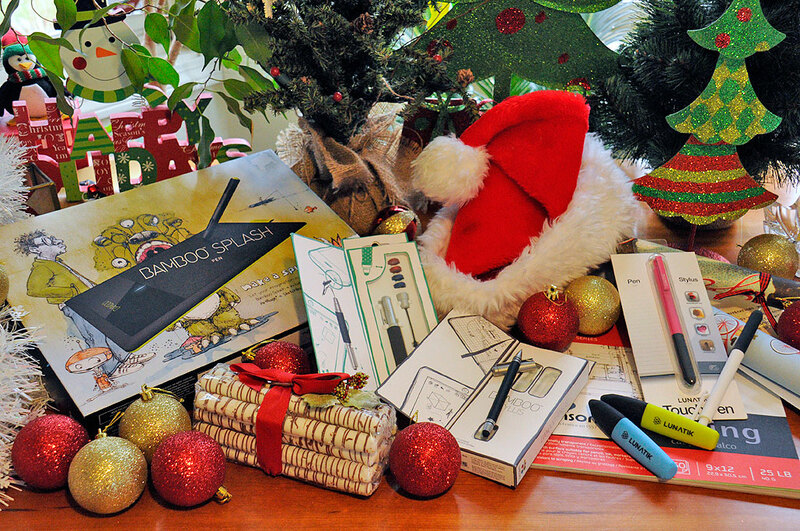 There will be a right board for the doodler on your gift list. Of course, creativity does not depend on high-tech gadgetry. 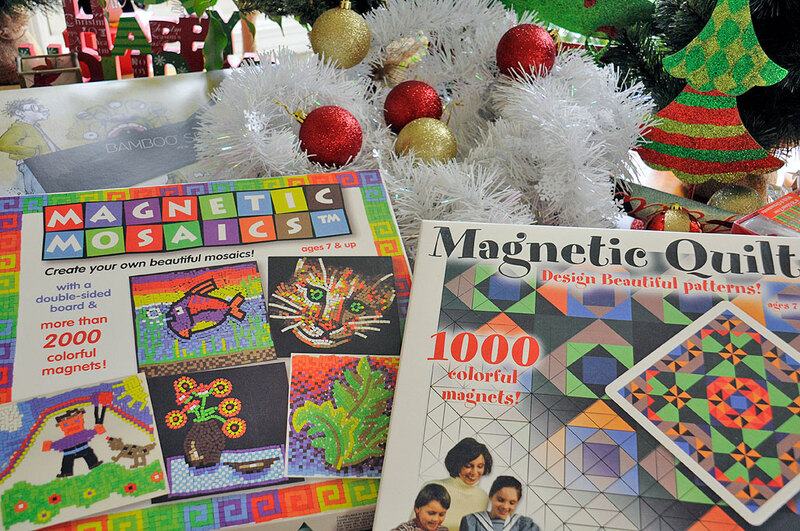 Those looking for “old-school” tech may want to check out offerings such as Magnetic Mosaics and Magnetic Quit . We found them excellent for laying out stained-glass patterns and other such crafty endeavors. OK. Enough with the gadgets for now. Tomorrow we are going to shift gear and offer some suggestions for the gardeners and bird lovers on your gift list.